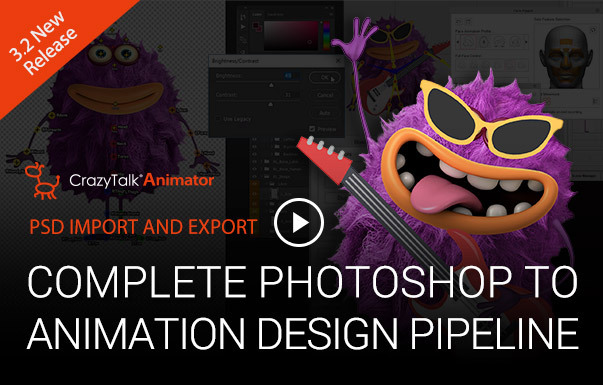 After posing your characters, customizing facial expressions, and swapping outfits & accessories in CTA3, you can then export in PSD layers for re-editing and compositing - saving you lots of effort in your creative process! 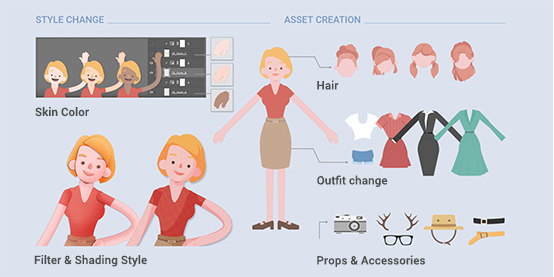 With the ability to launch Photoshop and synchronize updates on character layers, you can easily design clothes, alter color shading, and apply filter effects to your animatable assets. You can apply a chosen item directly to your character's target body part. Or you can freely add animatable accessories and prop items to the right-click menu for trigger animations. Now you can create new bone structures for unique creatures, and allow them to share the same motion assets when they contain the same character structure. Garry Pye has created the very first motion pack for Free Bone Actors for CTA 3.2! 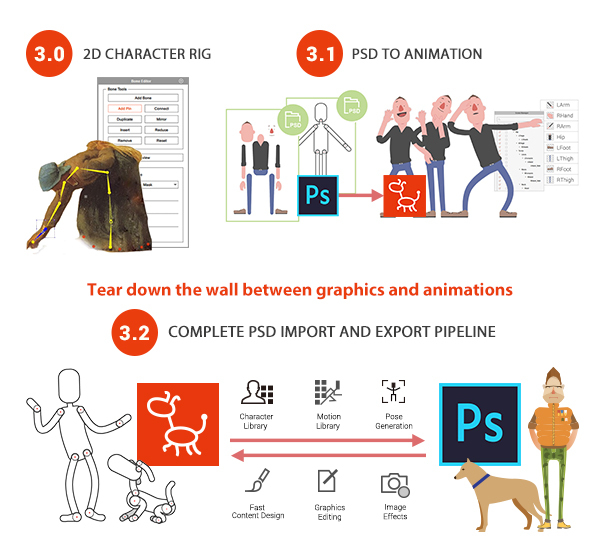 New grouping rules for exported PSD files. If you add different prefixes to group layers, then CTA will treat these groups differently. Adding "+" in front of group means that all layers will be merged as one group. Adding "-" in front of layers means that the group layer will be ignored. 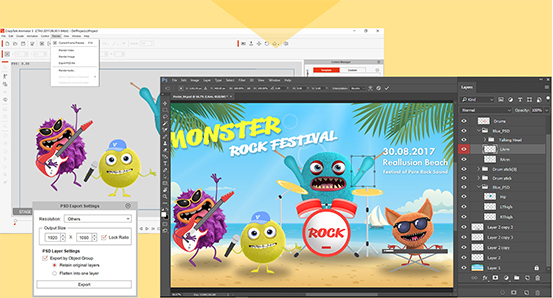 The CTA3.2 also supports large UI and text size for 4K high-resolution monitors. Learn the new PSD export features from 6 new tutorials on how to 'change color shading', 'add clothing to G3 charcters', 'export characters with poses & expressions', and more. Sapann Design and M@xim are both popular PSD content creators on Shutterstock. They are turning their unique artworks into CTA contents. Subcribe to our YouTube channel to find out our newest videos. Copyright © 2017 Reallusion Inc. All rights reserved. You are receiving this newsletter because you have previously requested information from Reallusion.To update your subscription information click here . To unsubscribe,click here. Do NOT reply to this e-mail if you wish to unsubscribe or change your address. Please use the instructions above! Privacy Statement: Any information collected from our users will not be sold, shared, or rented.